Religion has played a central role in Indian life and culture for at least four thousand years. Between 500 BC and AD 500 the major historic religions of Hinduism, Buddhism and Jainism were developing to maturity. Most surviving works of art from that period were inspired by their teachings. 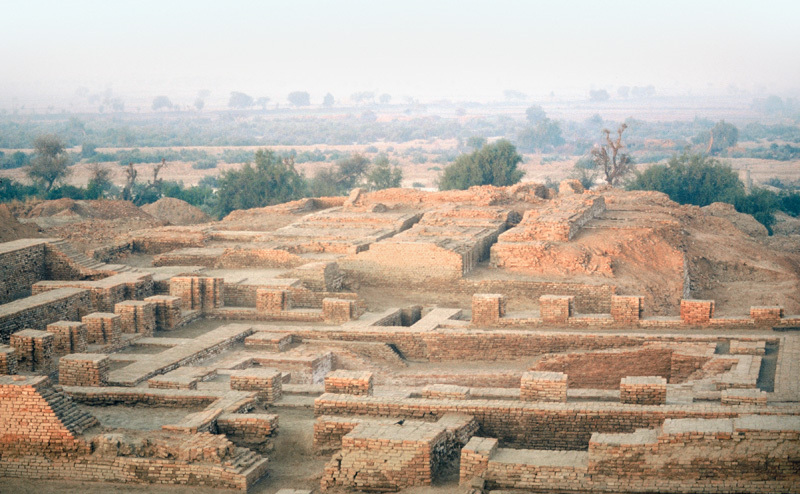 The Great Bath and Granary at Mohenjo-daro, Sind, Pakistan, 2600 – 1900 BC. 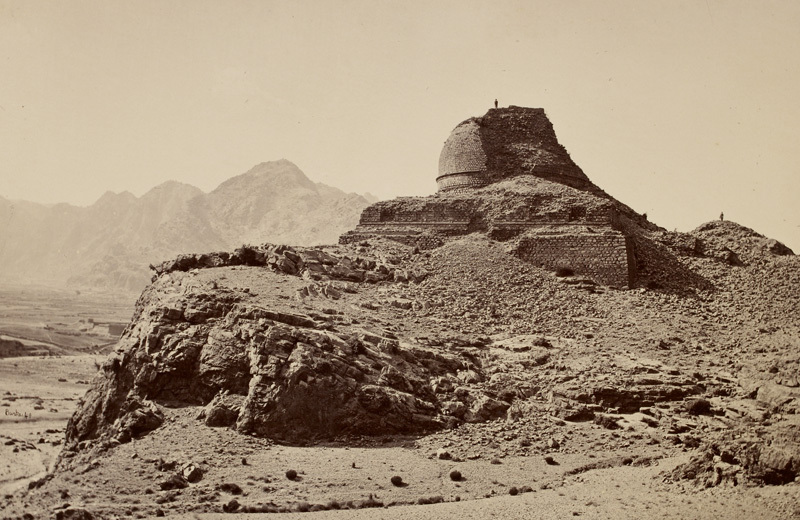 Ruined Buddhist Stupa in the Khyber Pass region, c. AD 200 – 400. 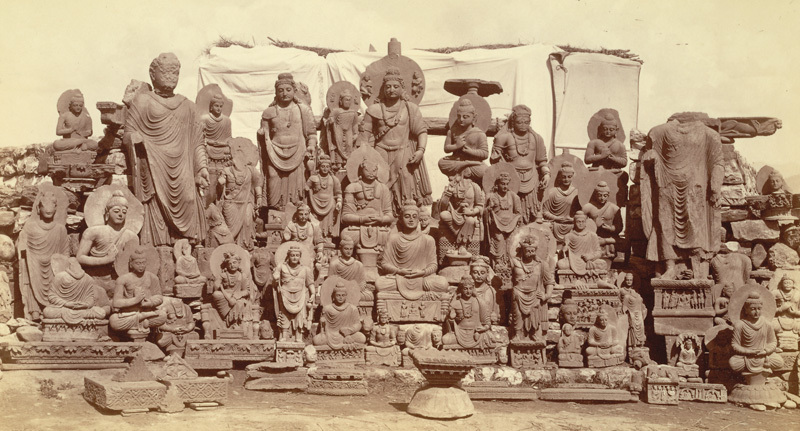 Massed group of Gandhara Buddha and Boddhisattva images collected at Loriyan Tangai (Peshawar Distri. This gallery begins by showing the development of early Indian art, from the Indus Valley Civilization to the first flowering of Hindu and Buddhist sculpture in the Mathura region of North India. It also surveys the Buddhist art of the Gandhara region (north Pakistan and east Afghanistan). Strong Greco-Roman cultural influences in the north-west gave rise to a naturalistic style of sculpture which adapted classical models in depictions of the Buddha and his life. 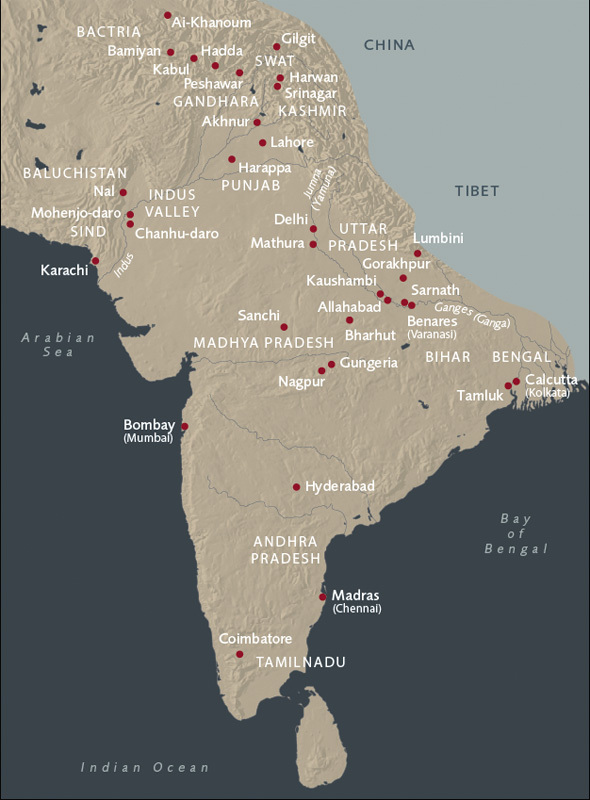 Inset Map of Early India. 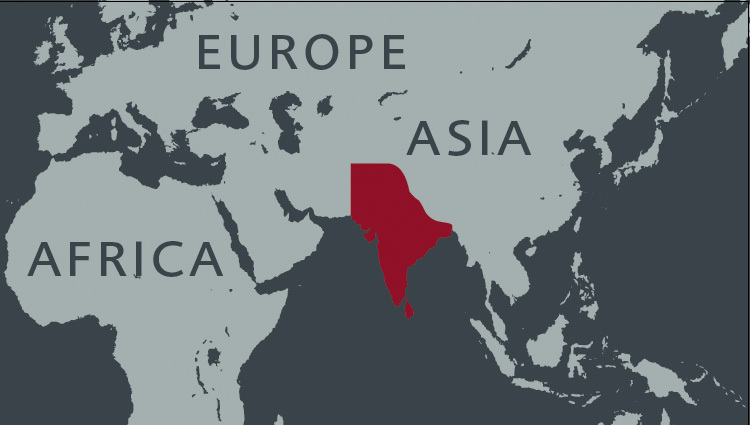 Map of Early India.